Multi-Oscar-winner Cate Blanchett (Blue Jasmine, The Aviator) is in talks to join Richard Linklater’s next project Where’d You Go, Bernadette, according to TheWrap. The film is a family drama-mystery based on the novel by Maria Semple and adapted for the screen by script-writing duo Scott Neustadter and Michael H. Weber (500 Days of Summer, Paper Towns). It follows an agoraphobic architect, Bernadette, who disappears right before a family trip to Antarctica. Bernadette’s teenage daughter is the narrator and attempts to find her mother through indirect sources such as emails, letters, FBI documents, and psychiatric correspondence. Linklater is likely over-the-moon about this potential casting. He recently left the film The Rosie Project that would have fulfilled his interest in working with another Oscar-winning actress, Jennifer Lawrence (who also left the movie). Moving on to Bernadette and an opportunity to work with an equally lauded talent would likely be an effortless transition for the Oscar-nominated director of Boyhood. 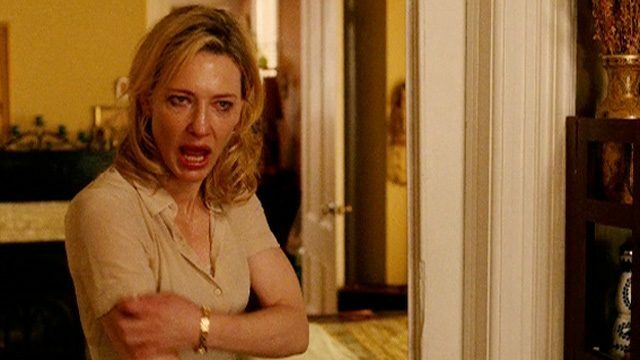 Blanchett is coming away from two highly buzzed about films this year, the Dan Rather drama Truth and Todd Hayne’s indie Carol. The latter is garnering Blanchett early potential Oscar recognition. Up next for the actress is the monologue film Manifesto, Andy Serkis‘ Jungle Book: Origins, and Terrence Malick‘s next project. No other casting announcements have been made for Where’d You Go, Bernadette. We will have more on the project as it develops.